Multi-pane windows can provide old-fashioned charm and a unique look to your home without breaking your pocketbook. Multi-pane windows harken back to a time when glass was made in much smaller sheets, and each single pane was fitted carefully into a wooden frame. Now that technology has improved and glass panes can be created in any size you choose, multi-pane windows aren't as popular as they once were. Some point out that multi-pane windows are harder to clean, as each has to be handled individually, as opposed to the ease of washing a larger sheet of glass. 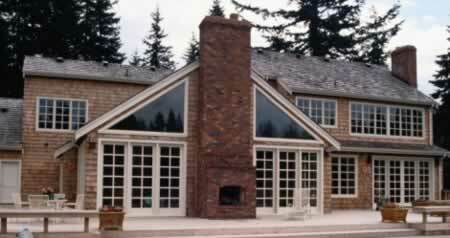 However, the charm of multi-pane windows makes the cleaning effort worthwhile for many homeowners. In some homes, the multi-pane windows themselves become an important design element, providing the visual punch that turns a so-so home into a showplace of unique beauty. There is no need to sacrifice energy-efficiency, either, modern multi-pane windows are just as capable of lowering utility bills as their more contemporary counterparts.